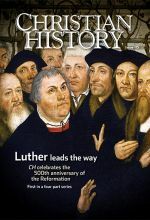 The first issue of Christian History magazine's series of four on the Reformation explores the roots and fruits of reform. On a quiet October Wednesday in 1517, a young Augustinian monk and theology professor, with one nail to the Wittenberg Castle door, struck a death blow to medieval Catholicism. That’s the story we think we know of Martin Luther, his 95 Theses, and the beginning of the Reformation. But is it the whole story? Seven Christian authors who gave us cheerful hobbits, wise old women, sharp-witted detectives, and one memorable lion gave us something more: a vision for all of life. 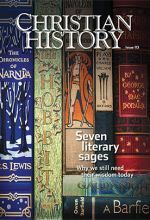 Meet George MacDonald, G. K. Chesterton, J. R. R. Tolkien, C. S. Lewis, Dorothy L. Sayers, Charles Williams, and Owen Barfield in Christian History magazine 113: Seven Literary Sages. 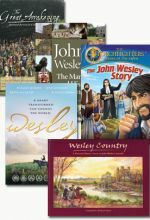 Includes Wesley: A Heart Transformed Can Change the World, Torchlighters: The John Wesley Story, John Wesley: The Man and His Mission, Wesley Country, and The Great Awakening.